Let’s face it, Asparagus is good no matter how you prepare it, but this savory, cheesy, flavorful Asiago Garlic and Bacon Grilled Asparagus is literally the bomb. It’s a perfect side to steak, seafood or pasta! So yum! 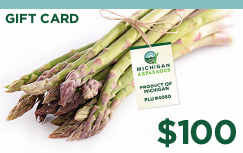 I’d like to start out by thanking Michigan Asparagus for the wonderful package of Asparagus they sent for me to create this absolutely mouth-watering, delicious Asiago Garlic and Bacon Grilled Asparagus. Asparagus is one of my very favorite vegetables; we make it a lot. Because of this, I love to find new and interesting ways to prepare it. 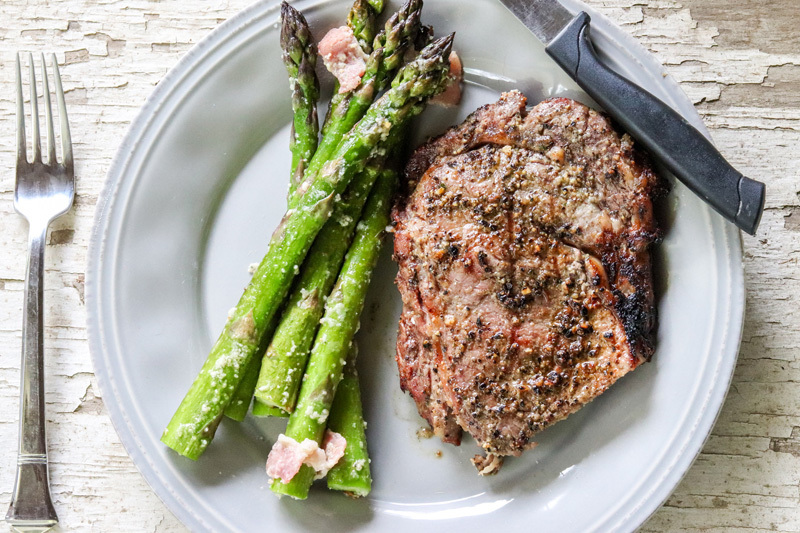 This Asiago Garlic and Bacon Grilled Asparagus is one of our absolute favorite Asparagus Recipes. One of the things I love about this Asiago Garlic and Bacon Grilled Asparagus, is how incredibly easy it is. Basically you just mix up all of the ingredients, add them to a tinfoil tray, toss the asparagus and pop right on the grill. Ready in about 10 minutes. I pop it on with the protein I’m bbqing most of the time. Asiago Garlic and Bacon Grilled Asparagus makes the perfect side dish for any BBQ but most especially goes great with fish, shrimp, chicken and steak. 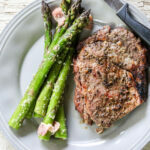 I hope you’ll try Asiago Garlic and Bacon Grilled Asparagus. The recipe is below and can be printed. In the meantime, check out the bloggers participating today, and enter to win a prize! 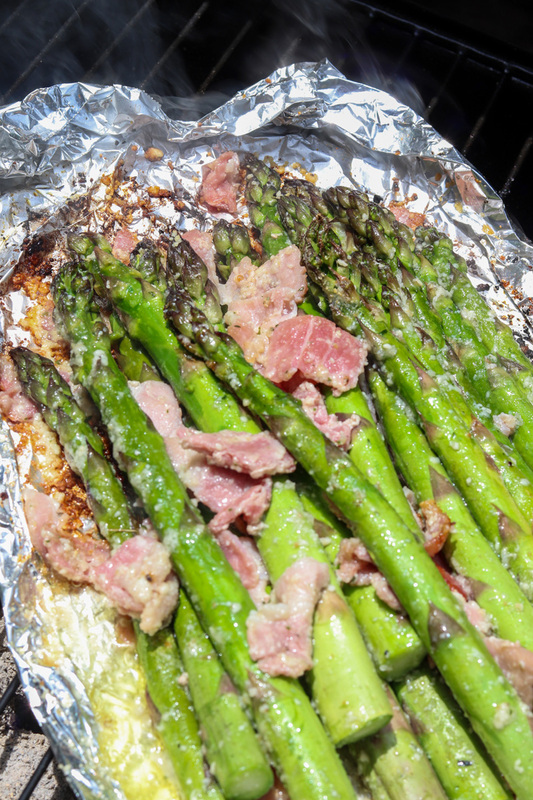 Ready to make Asiago Garlic and Bacon Grilled Asparagus? 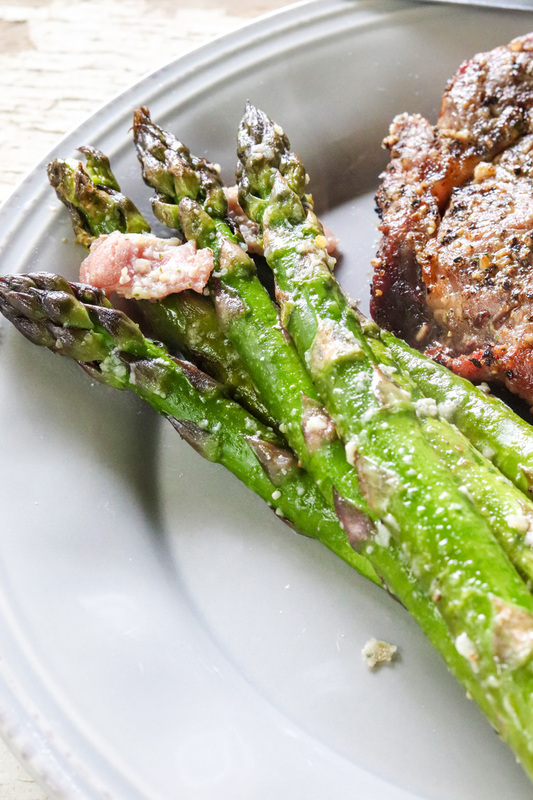 Let's face it, Asparagus is good no matter how you prepare it, but this savory, cheesy, flavorful Asiago Garlic and Bacon Grilled Asparagus is literally the bomb. It's a perfect side to steak, seafood or pasta! So yum! Remove the woody end of the asparagys by taking the end of the asparagus between your thumb and forefinger and bend until it breaks. The reason this is the easiest way is that the asparagus automatically breaks just where the woody part ends and the fresh, juicy asparagus begins. Create a tinfoil "tray" by curving up the ends. 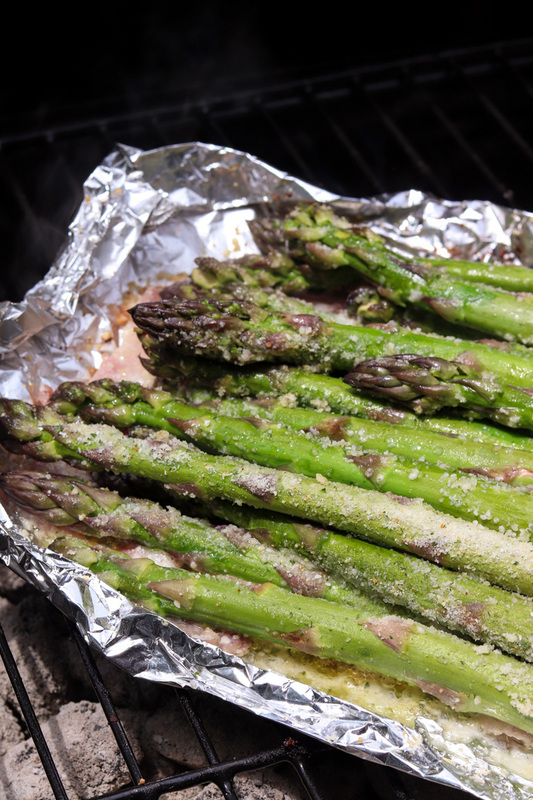 Place the asparagus in the tinfoil tray and drizzle with 2 tablespoons of olive oil. Sprinkle the minced garlic over the top, add the bacon, asiago cheese and salt and pepper and toss everything to coat. Place the tinfoil tray on the BBQ pit and grill for 5 minutes with lid closed. Open lid, toss everything again using long tongs and grill another 5 minutes with lid opened. 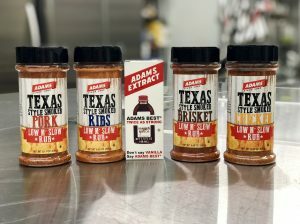 It’s always grilling season here and you’ve put all my favorite things into one delicious side dish! 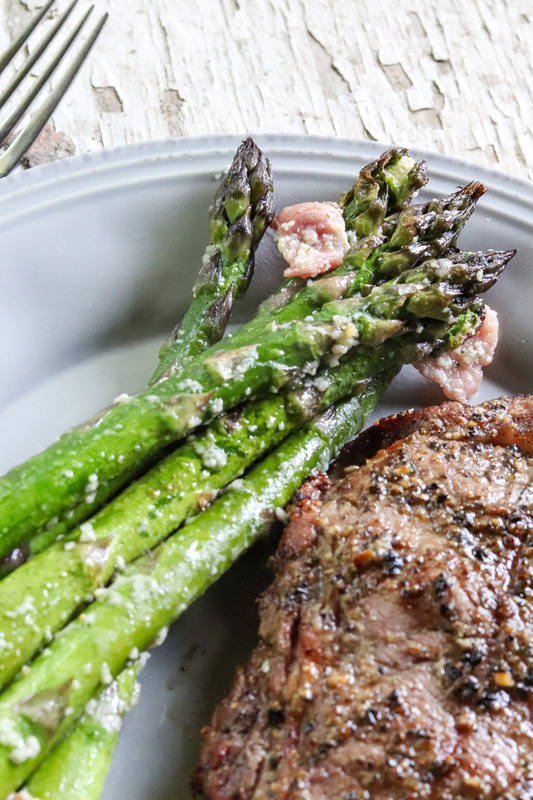 We all know bacon makes everything better but the Asiago takes this asparagus over the top! 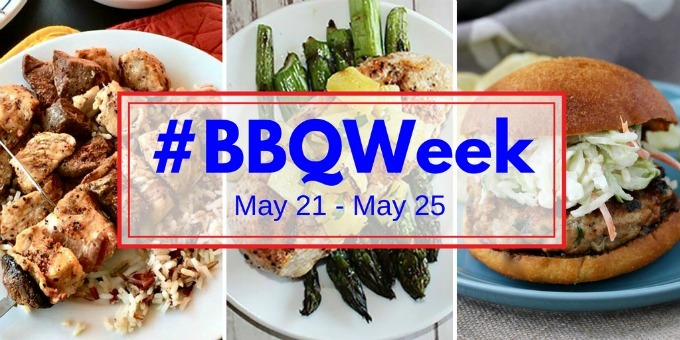 Thanks for being a part of #BBQWeek! Simple ingredients, but so much flavor! I love this combination. Love grilled asparagus and you just completely put it over the top with the Asiago and bacon! Can’t wait to give it a try! Aw thank you!! It was delish! This may be the most perfect summer asparagus! I just want to gobble it all up! I’m a bit of an asparagus addict, so I have to find fun ways to make it over and over again – this is one of our favorites! Thanks Colleen! I simply can’t tell you how wicked they actually were 😉 SOOOO good! Thanks! Such a fabulous side dish. I love cooking with foil on the grill. These are also great for beach BBQ. Foil on the grill is so great for side dishes! Plus makes clean up a breeze. Thank you!! Asiago, asparagus and bacon all in one dish! AMAZING! Cannot wait to make this! YUM! Oh it was soooo good Nikki! Thanks!! That asparagus is the bomb! I had some with steak as well. They go great together. Mmmmmmm! That bacon and that cheese. So so good! We frequently make grilled or roasted asparagus with Parmesan or Asiago (whatever we have on hand) but I love the addition of bacon. YUM! This is a delicious way to serve one of my favorite veggies! What a yummy recipe! I love how you made this with all those incredible flavors!